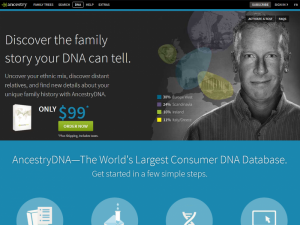 I did not really find ancestrydan was worth the money. I guess some could if you have no idea what your background is. I found the reports very vague. I already knew I had some Russian and was about half Irish. and then a few low confidence results. See it is not very informative at all and noy my genetic DNA is in the Ancestry database. I didn't think they would keep my genetic information after the testing. Not worth it.